What is Google Author Ranking and how it works? Google has done a lot of things to continue to improve its search results to display relevant results according to what is sought by the user . If my friend to follow the latest developments on Google , then the friend will hear the term Google Author Rank . Although it has not been listened too , I 'm sure my friend has had little idea about what it is Author Rank . Google is working to develop a ranking system content to get better search results , the system was named Author Rank . Indeed, this system is similar to the Page rank , but there is little fundamental difference . For that let us discuss together here . What exactly is Author Rank it ? Buddy know page rank is not ? Google uses many factors into account to rank a page ( page ) . This means that high -quality pages that will rank high in the search results . In the ranking of a page , we can easily calculate incoming links , the quality of the incoming links , traffic , page hits , and other things that determine the ranking of a page . But what about those ( Author ) who writes the content on the page ? Before the advent of google plus , google does not have a solid way to investigate and find out who the actual owner of a blog / site . 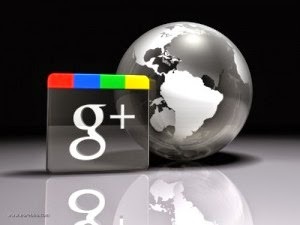 google plus with google authorship seems to be the drug of these issues . Since the problems are solved , a google search for a new breakthrough with the rank of the author , as well as their rank a page ( page ) . initial idea of Author Rank . Author Rank effectively will affect the search results content buddy . Pal 's reputation as a content creator will affect how well the SERP ( Search Engine Result Page ) of the contents . How does Author Rank ? So far , we know that the author rank is a new ranking system . But we must remember this system does not change the algorithm used google today . I still feel at home with the panda and penguin . Here Author Rank only act as a supplement only. Author Rank will provide information to the page rank , this means that the author is high ranking will affect towards a better SERP . This shows that Google is now doing a slight shift of emphasis towards the individual ranking / author who produces content - good content and quality . How Google measures the level of trust a site was extremely interesting , google seems to love the blog started "going social " ( connected to both the readers on the social network ) . Looks like google believe that blogs are reliable is a blog that author able to interact with the visitors / readers well . Knowing that , we as bloggers should start to going social from now because it will be one of the key ranking google . How good content writing and how good buddy with reader interaction will contribute to the level of Author Rank . For that two things must be considered properly . What are the affects Author Rank ? Once again it should be emphasized here that the Author Rank alone will not give a great effect to the ranking of your blog , Author Rank merely one factor alone . Google takes into account over 200 factors , some were going to affect the Author Rank buddy , while others will affect the ranking of the search results content . How many hits we get to share the content - How much +1 , like , tweet , either pin it on google , facebook , twitter , pinterest Author Rank affect us . For that let us plug also social media sharing buttons on your blog :) . Site / Blog another in which the author contributed - Total other sites where the author contributed , the integrity of the author , and the average page rank of these sites was also highly influential . 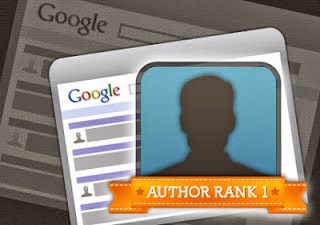 The author's connection with another author on google plus - As a quality backlink will provide a high page rank for a page , as well as the Author Rank . Connection / relationship with the author who has a high Rank Author will give good results at Author Rank buddy . On-site engagement - The number of comments on the content of a reply from the author and the author of these comments also affects Author Rank . Authorities other indicators - The books you publish in google books and has a profile page on wikipedia has a stake in improving Author Rank. Google did not explain in detail the factors of Author rank , stuff above is just a rough idea of the new system . There is no harm if we prepare ourselves to get a good Rank Author is not it?